Why Should You Use Facebook Ads? You need to decide what sort of structure suites your business as it will affect what strategy you pursue. This is the structure you’ll most likely use if Facebook is your main channel for finding new customers – If this is the case then your Ads need to be profitable from the very beginning. Scenario: If your product costs £100 and has a profitable margin of £50 then your Ads will need to have a Cost Per Website Purchase (CPWP) of under £50 to make any profit and ideally you’d want to aim for somewhere between £10-30 CPWP. Example: You want to start selling candles that cost you £1 and you sell them for £3 – You would then aim for a CPWP of £1. Scenario: If you have £50 NET profit margin on your product, your goal is to have CPWP of £50. This means that for every sale you make you break-even. Example: A discount ecommerce store wants to grow it’s email list, as it knows the Life Time Value (LTV) of a customer is well over £50, so it can take the hit of the lack of profit on the initial acquisition. This is a highly aggressive option that an established company may use for huge growth. You are relying on the fact that your LTV of your customers is accurate and that you can bare the lack of profitable initially for the potential long-term gain. Scenario: So if you have £50 NET profit margin on the first sale, and you know that on average after 30 days a customer will make you £100 in profit, you aim to breakeven 30 days down the line by using other channels such as Email Marketing. Example: You run a well-being product store that has very good loyalty and referral schemes in place (Harry’s are a great example) and you’re confident that you can keep a customer coming back time and time again. Facebook has over 2 billion monthly active users and is the most popular social network on the planet by far. Your brand will have many potential customers on their right now! The key is to narrow down the right audience at the perfect time with engaging copy. That then allows you to convert them into paying customers. You need to find an angle that works for your business on facebook – There has to be something unique about what you are promoting so you can build a narrative. This is all about targeting people who have never heard of your brand, a good place to start is doing some competitor research to see what audiences they’re targeting and then do some brainstorming to come up with suitable audiences to test. It will be a trial and error process until you find a setup that is profitable and works for your business. Bad Example: Your product is Eczema Cream and you decide to target a broad audiences of anyone who lives in the UK. Good Example: You target people who like relevant pages such as an Eczema association, and you know that your ideal customer is a Women aged between 35-50 so you narrow down the targeting further. Your Ads will be doing the bulk of the heavy lifting in converting visitors for cold traffic so your creative needs to be outstanding! This sort of traffic is someone who already knows your brand but may not have purchase just yet. Re-targeting works very well with other channels that drive traffic I.E content marketing, as it will work to convert someone who has entered your Sales funnel through other means but not converted yet. 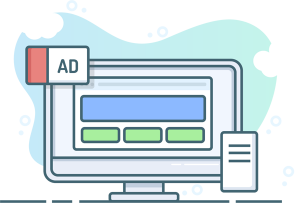 Dynamic Product Ads – people will be shown Ads that are relevant to their behavior on your website, these are very straight forward to setup and are very simple to optimise as you can only really change the Ad copy. As targeting audiences already know your brand, these Ads have one primary job – To show the product off, use customer reviews to try resolve any objections. Now you have some audiences in mind it’s time to run some ads, here’s an example of a supplement store that’s ideal customer is a middle-aged women that you can use as foundation. In Each adset you then want 1-4 ads that have different images/copy to see which performs well- You want to kill non-performers as soon as possible. Again each in their own adsets and Dynamic Ads will need to be in their own campaigns.